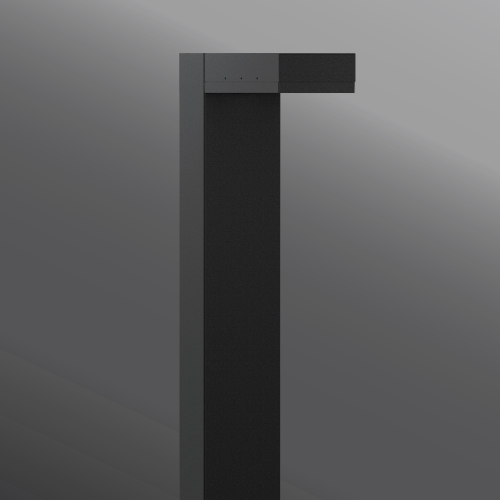 Light Linear PT is an elegant minimalistic lighting column that is suitable for both modern and classic architecture. Ideal for creating visual guidance with exceptional visual comfort. 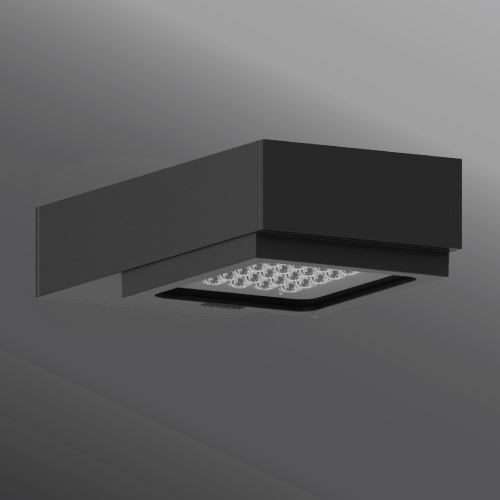 The dual sealed optical chambers with integrated heat sinks houses a range of field interchangeable optically controlled LEDs, providing Type II, III, IV & V distribution, as well as variations of this for precise light distribution requirements. 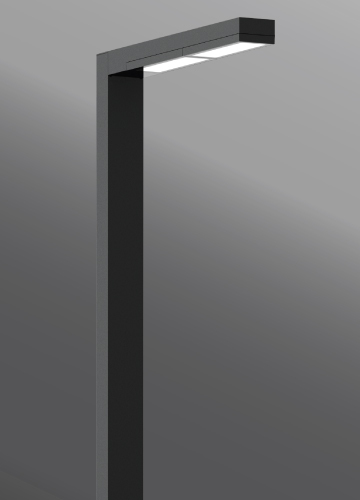 An example of this, is using a combination of Type II and Type IV distribution optics inside the same fixture. This product range is available in 55w,78w, 110w & 156w options, as a single & double head styles. Customer specific wattages can be provided, contact the factory for more information. 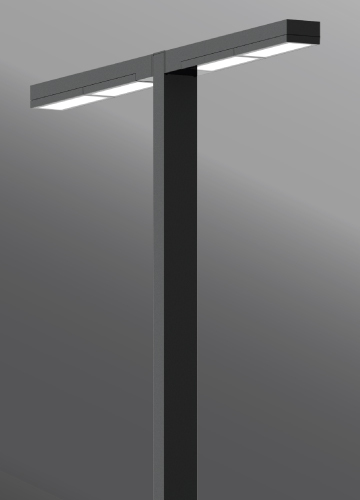 This luminaire complies to Dark Sky requirements. The sleek and minimalistic shape provides distinctive lighting effects by night and decorative urban effect during the day. Suitable for use in pedestrian precincts, building surrounds, shopping centers, squares, parks and parking lots. 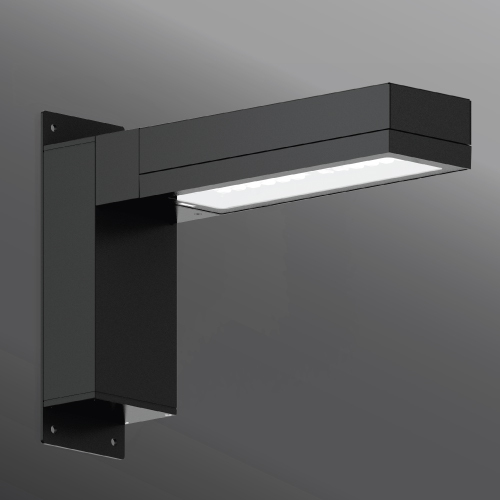 This product range is complemented with high performance optics in the bollard and wall mounted luminaires, to provide a consistent range of design aesthetics for the project. See website for more information. 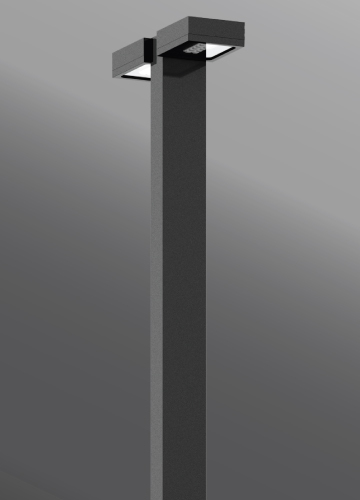 Poles can be provided with GFCI boxes positioned to specific heights specified by the customer. A flat low profile hand hole cover with vandal resistant screws is provided for easy installation. Internal house side shields are available as an option. Available with a selection of integral electronic drivers and dimming electronic drivers as well as a provision to install wireless lighting controls to integrate with building management systems, as well as pole mounted occupancy sensors. Easy access to luminaire for maintenance.